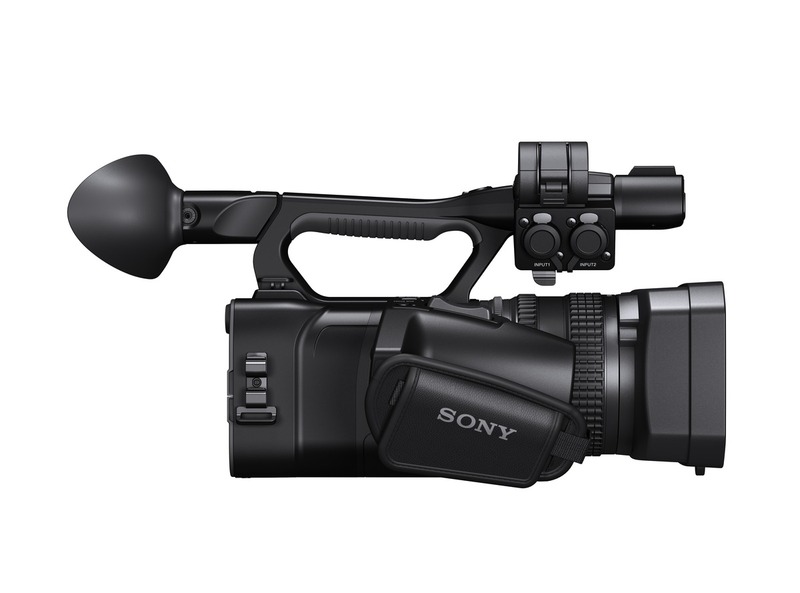 Maybe some of you have been active this morning on social media, and have realized that we have just announced a new camcorder at Broadcast Asia event. 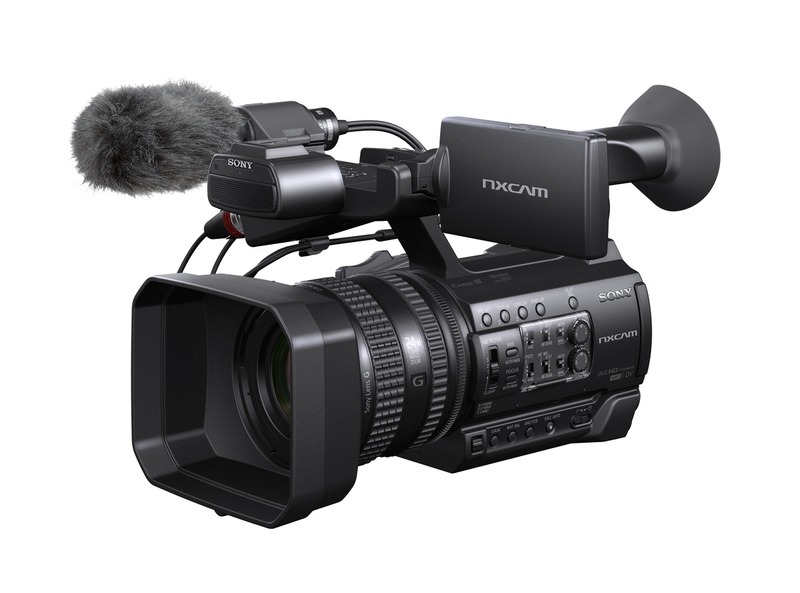 This new camcorder is named “HXR-NX100”. 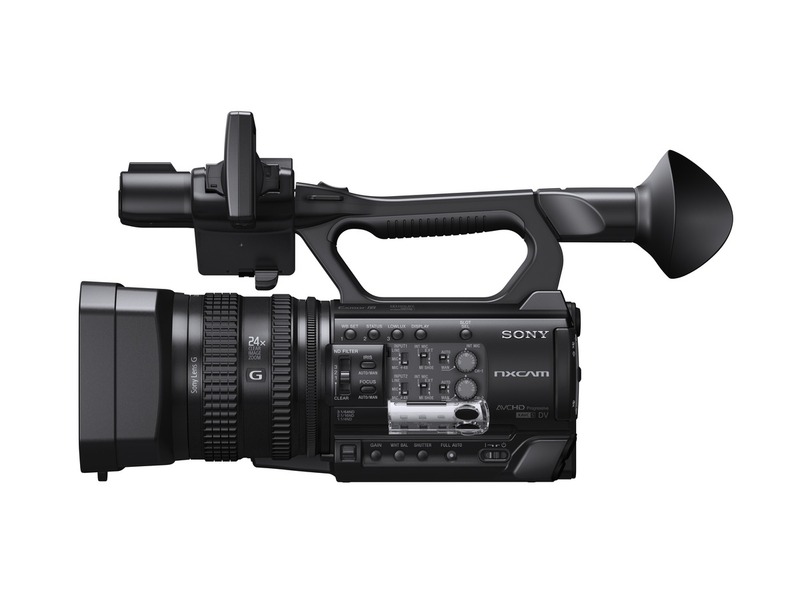 And it is undoubtfully a nice camcorder, but probably the main question out there is: “Another camcorder by Sony???”. And, yes, you are right if you are wondering that. But there are a few reasons to embrace this new announcement. Firstly, let me remind you I am just “the technical guy”. Yes, I belong to marketing, and that could be seen as a handicap, but you can be sure I try to position myself much closer to the user than to the brand in most of the cases. So, many of you may know about PXW-X70. 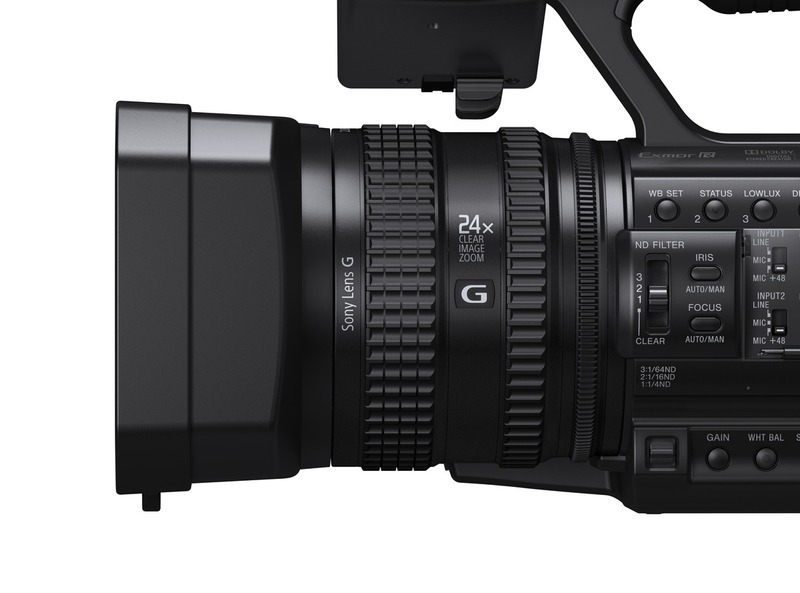 A nice little camera, with a great (literally) sensor, and a top level codec (XAVC). It works really fine, and, due to its sensor resolution (20 Mp), I expected its low lights to be a bit “weak”, but when playing with it in dark environments, it is really, really solid when managing that kind of information. 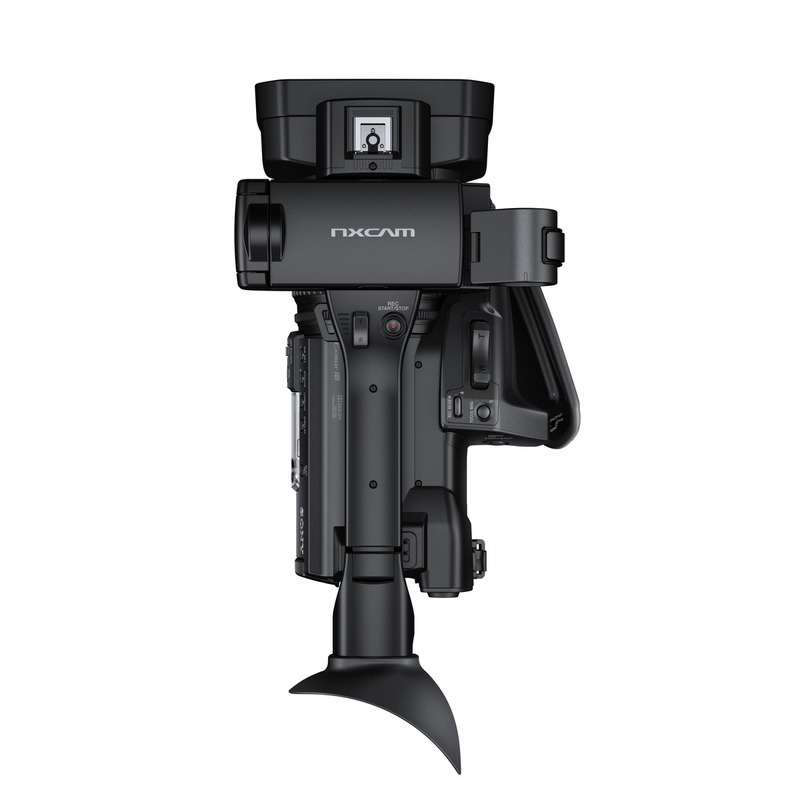 You can remotely operate it, so it turns it into the perfect camera for documentaries: with a couple of them in your backpack (no heavy weight), you can shoot a nice multi-camera production held by just one operator. But, what about those cases in which such operator prefers to do an ENG job? Obviously, X70 is a light but powerful tool, but some users prefer, when operating a camera in a handheld way, to be capable to play with the classic 3 lens rings. Yes, you can do something similar on X70 (zoom on the hand grip, iris on the little knob on the front of the camera, and focus on the lens ring – when shooting with a 1″ sensor, bokeh effect is significant), but some users were telling us that using that sensor on a 3-rings lens would be a perfect combination not only for live events (ENG, interviews, sports, concerts) but also for fictional purposes in which DoF is a critical aesthetic tool. Even, we could drop some functions from X70, if we could work on such new model. If, for instance, you are a YouTuber, a student, a freelance, a wedding videographer… you will surely be interested on NX100, and you will miss nothing. And there it is: HXR-NX100. Probably that was the gap we were missing during months: a high-level but basic price tool that suits almost every situation, in an entry and mid level. 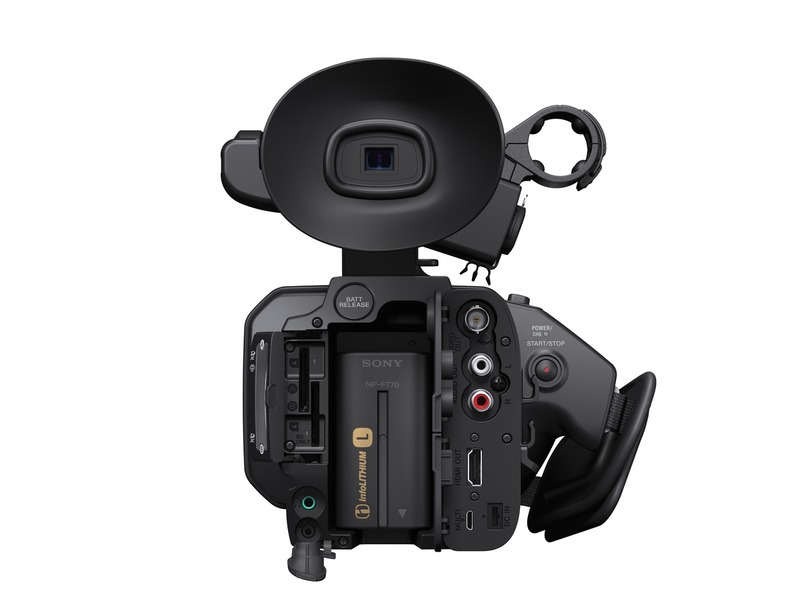 It will look very familiar for those of you that have already worked with any Sony model, but if you haven’t, you should know that operation in our camcorders uses to be very intuitive, and optimized for the operator (we bear in mind such a big quantity of feedback that sometimes it’s almost unmanageable 😛 ). Let’s talk a bit about the specs. Yes, the boring thing. But we cannot skip them. … because, yes, it does have ND filters. So, good-bye to those situations in which you are shooting in a dark environment and, when going outside, you need to fastly close iris, increasing your DoF. Now, simply apply an ND filter, and keep your iris open. Nothing new, of course, but strange to be found in a camera ranged at this price. But, Alvaro, if you have always recommended to use the same resolution in the sensor as we have in the outputs, why are you defending a 20 Mpx camera? Oh, nice to hear that question! Well, in fact, I keep saying the same: due to pixel size, I prefer the sensor resolution to be as maximum the same resolution as the highest output. Sorry? Yes, let me explain: if you are using a 4K-capable camera, I prefer sensor to be 4K/8.3Mpx, but no larger; that way, each pixel has its maximum area, so it can collect the maximum quantity of light possible. So, how could it be interesting to have a bigger resolution in the sensor? Obviously, we sacrifice pixel density (thus, dynamic range), but with the high sensor quality existing nowadays, that is affordable (unless we are thinking of latitude for cinema applications). On the other hand, we can use that bigger pixel density to analyze signal. And that analysis helps us to have other features available; in this case, the well-known Clear Image Zoom. Yes, I have heard that before, but… how does it work? Actually, it’s really easy. In a classic Digital Zoom, the usual way to do it is through interpolation: if a value of “1” is found in a pixel, a value of “3” is in an adyacent pixel, and we want to “zoom in”, we simply use an average, so the result should be “2”. That could be called a “spatial interpolation” (similar concept to an intra-frame codec). But, according to not only the previous frames, but also a classifying algorhythm, that signal can be compared to hundreds of patters (let’s say not only “radial movement” or “panning”, but even some recognizable patters, like, let’s say, “face”, “sky”, “flowers”, “pavement”…), and then that prediction is processed together with the interpolating mechanism, so that the final result provides a significantly bigger quality when zooming in. Is it clear? Clear… Image Zoom. This algorhythm can convert the optical 12x zoom into a 24x, and, added to that, we can use a digital extender to reach a 48x zoom. You can take a look on a [low quality; sorry] video that I uploaded some months ago in my YouTube channel. Another feature that some users will appreciate is the codecs available in NX100. I will skip DV recording for obvious reasons. But, added to that AVCHD 2.0 that allowed up to 50p in Full HD (it is “only” 28 Mbps), this time we can use the same last generation codec we have, for instance, on Alpha A7s, which is an implementation of XAVC codec. Bear in mind that, for recording on that XAVC-S codec, you’ll need to use at least a “Class 10” or higher SDXC card. For AVCHD, Memory Stick (Pro Duo, Pro-HG Duo, XC-HG Duo) or SD/SDHC (classes 4, 6 or 10) can also be used. Oh, and, of course, stereo audio is recorded in LPCM (in AVCHD, it can be also AC3). About the way to record, apart from the typical “relay” or “continuous” recording (one of the cards runs out of capacity, so the clip continues on the other card, since the camcorder has double media slot), or the “simultaneous” or “backup” mode (same clips on both cards; for example, for security, or for using one of them to start editing, and the other one for colour grading), there is a third way to record, that we saw for the first time in NX3 ( in this video ), which allows us to shoot DIFFERENT contents in both cards, with each card commanded by a different REC trigger. Imagine you are recording a live concert; in one of the cards, the whole concert can be stored, while in the other one, you can shoot just the highliths or each song independently. Very useful for editing, or for avoiding loosing some interesting take. Mmmmmh… yes, but, what about SDI, WiFi…? Well, those are the features that, according to the price range, needed to be dropped from other models (for instance, X70). However, and this is also a personal opinion, in most of the situations in which this camcorder will be probably used, I woldn’t miss them (but, obviously, this is subjective). 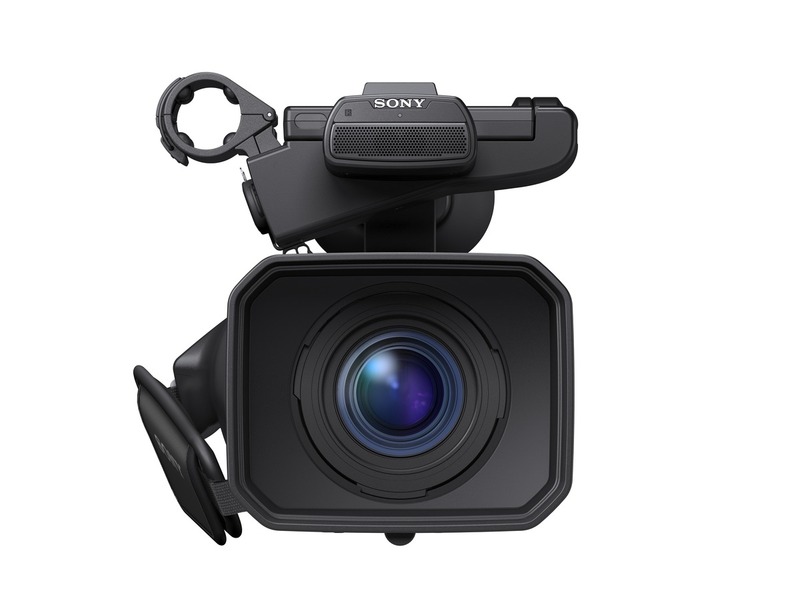 Esta entrada se publicó en Sin categoría y está etiquetada con 20mp, AC90, announcement, ARRI, audio, AVCHD, AVI, Broadcast, camcorder, camera, Canon, clear, concert, continuous, documentarist, documentary, DV, ENG, event, handy, HDMI, HXR, HXR-NX100, image, JVC, LBPC, live, media, mp, MP4, mpx, MXF, new, news, NX100, NX3, NX5, Panasonic, photo, reality, recording, relay, reporter, school, SD, SDHC, SDI, SDXC, sensor, Simultaneous, sony, sports, student, UWP-D, video, wedding, WiFi, XAVC, XAVC-S, XLR, YouTube, Youtuber, Z5, Z7, zoom en 2 junio, 2015 por Alvaro Ortiz.